No pictures of this terminus are currently available. If you'd like to send yours, click here to do so. Picture taken 7/14/2002 by Ben Prusia. 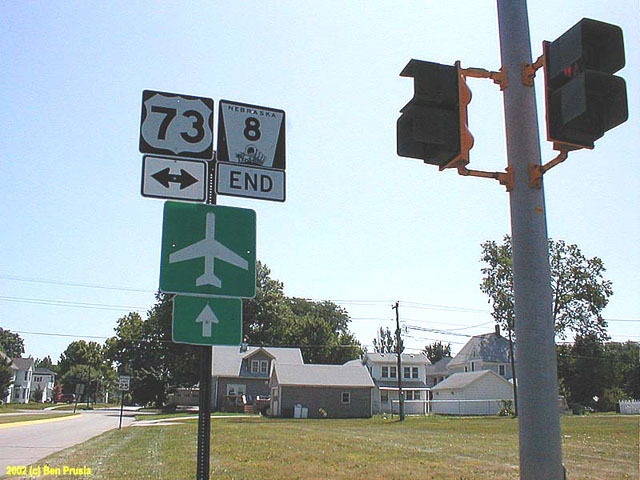 End signage at the junction with US 73 in Falls City.